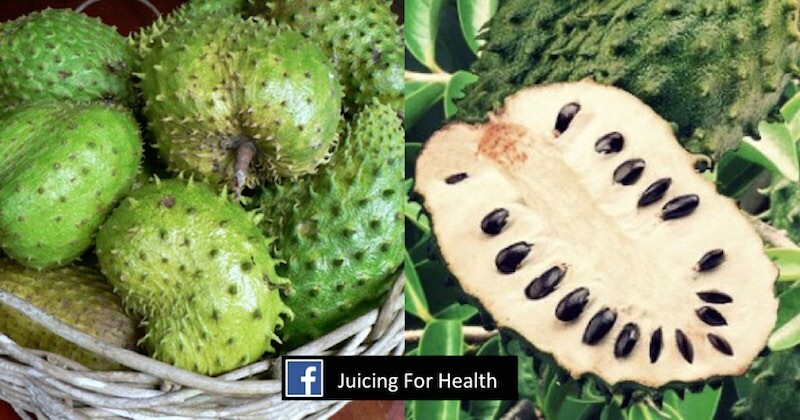 Health Benefits of Soursop - Kills Cancer Cells 200x Better Than Chemo! Soursop (Annona muricata), also known as graviola, guyabano or guanábana, is a prickly, green tropical fruit that is widely researched for its unique cancer-fighting abilities. Soursop fruit can grow up to about 12 inches long, and weigh up to 15 pounds. Its flavor has been described as a mix between strawberry and pineapple, with a hint of sour citrus flavor. The leaves of soursop fruit have amazing medicinal properties which make them usable as an ingredient in several herbal health care products. Soursop offers carbohydrates as its main nutrient and they are free of fat, cholesterol and sodium. This prickly fruit contains significant amounts of vitamins C, B1 and B2. It is an excellent source of calcium, copper, fiber, iron, magnesium, niacin, phosphorus, potassium, riboflavin and thiamin. The leaves are rich in several vital compounds including calcium, fructose and protein. Many of soursop benefits derived from its antioxidant properties, including: alkaloids, saponins, terpenoids, flavonoids, coumarins, lactones, anthraquinones, tannins, phenols and phytosterols. This group of phytochemicals are known for the disease and cancer-fighting abilities that may even retard tumor growths. The phytonutrients found in soursop make this fruit also naturally antiviral, antiparasitic, antimicrobial and anti-inflammatory. How Does Soursop Cure Cancer? Soursop is fast gaining popularity as a research subject, for its wide potent anticancerous agents coined as acetogenins which play a key role towards many varieties of cancer. Acetogenins are long-chain fatty acids, potent inhibitors of NADH oxidase of the plasma membranes of cancer cells. A study published in the “Journal of Medicinal Chemistry,” in 1997 reported that compounds from soursop were tested on breast cancer cells in culture and proved to be 200 times more effective in killing the cells than chemotherapy drugs. Its fruit, leaves, roots, stems and seeds have been scrutinized. Annonacin, as well as other compounds found in soursop called quinolones, annopentocins and two alkaloids, coreximine and reticuline are said to have the potential to prevent or slow the growth of cancer. There were studies that showed that those who took soursop extract had better immune systems. The extract was shown to be helpful in targeting and killing cancer cells in about 12 types of cancer, including prostate, colon, pancreatic, breast, and lung cancer. The compounds in the extract have been proven to help in slowing down the growth of malignant cells, even better than the strong and commonly used chemotherapeutic agent, Adriamycin. When patients undergo chemotherapy, all the body systems suffer alongside the malignant cells. The soursop extract’s compound will selectively track and kill only the cancerous cells, leaving minimal negative impact on normal, healthy cells. Lymphocytic leukemia is a type of cancer where the bone marrow makes too many lymphocytes (a type of white blood cell). It is a common type of blood and bone marrow disease that occurs in mainly adults. A study found that acetogenins, the major phytochemicals found in soursop, have toxicity towards lymphocytic leukemia cells in lab mice. This is a positive finding on the potential of the cancer-fighting ability of soursop. Several studies have indicated the potential use of soursop in potential therapeutic treatments in patients. Extracts from this plant were shown to inhibit the proliferation of breast cancer cells by inducing cytotoxic activity in lung cancer cell lines. The cytotoxic effect of the soursop extracts were also proposed by multiple in vitro studies using cultured liver cancer cells, suggesting that they can potentially be used as a treatment option against liver cancer. Several other studies also demonstrated the capability of soursop extracts that induced death of cancer cells. Studies using soursop leaf extract, flavonoid-enriched extract and acetogenin-enriched extract administered in vivo and in vitro, were also shown to negatively affect prostate cancer cells growth. There are synergistic interactions among flavonoids and acetogenins in soursop (graviola) leaves that offer health-promoting benefits including chemotherapeutic and chemopreventive effects. 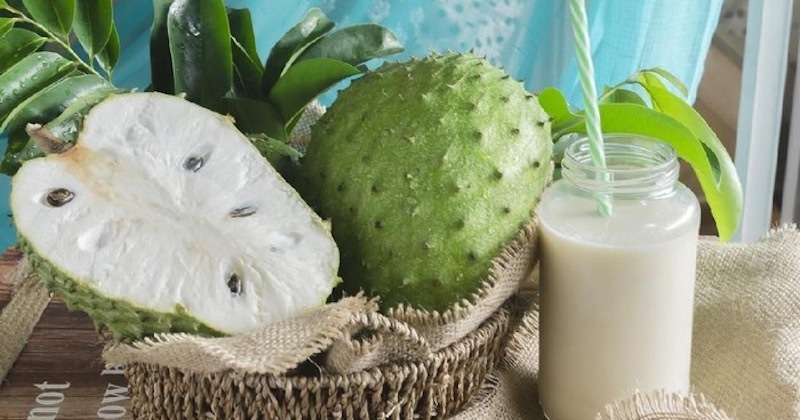 This study not only showed the efficacy of soursop extracts at inhibiting prostate cancer but also the importance of using whole-leaf extracts to achieve the highest inhibitor efficacy in fighting cancer. Similar studies were conducted on the treatment of pancreatic cancer cells, using soursop (graviola) extracts. The result was a decrease in the metastasis (spread) of pancreatic cancer cells. The migratory capacity of cancer cells was reduced after treatment with graviola extract, suggesting the reduced motility of the diseased cells. Annona muricata, known as “the cancer killer” was investigated in a study on its anticancer properties on colon cancer cells. Extracts of soursop (graviola) leaves were found to be have toxic effects on the cancer cells, retarding their growth. It also blocked the migration and invasion of cancer cells. While the benefits of utilizing soursop extracts are definite potential treatment options against cancer, it is important to acknowledge that factors such as lifestyle and ignorance towards the symptoms of cancer are still major contributors to the increase in the incidence of cancer. A change to a better and healthier lifestyle, a better understanding and recognition of the signs and symptoms of cancer are needed to increase the chances of fighting cancer successfully. Soursop is particularly beneficial for strengthening the immune system. Most parts of the soursop (or guanabana) plant are used in traditional medications in treating various diseases and ailments, including inflammation, rheumatism, diabetes, hypertension and parasitic infestation. Soursop fruits: The fruits are used traditionally to treat arthritic pain, neuralgia, fever, diarrhea, dysentery, skin rashes and parasitic infections. They are also eaten to increase a mother’s breast milk after childbirth. Soursop leaves: Nicknamed “the cancer killer”, are used traditionally to relieve spasms, fight against collapses, hypoglycemia, inflammation, cystitis, headaches, insomnia, and for treating cancer. Soursop seeds: The seeds are crushed and used for fighting against internal and external parasite and worm infections in human. Aedes aegypti is a disease-causing mosquito that can spread dengue fever, chikungunya, Zika fever, Mayaro and yellow fever viruses. A study showed that extracts from the soursop plant were effective against Aedes aegypti, in combination with silver nanoparticles, making this plant extracts a good candidate to be used to control the spread of dengue fever. In vivo study on different doses of soursop leaves was investigated on the anti-arthritic activity in arthritis-induced rats. Higher doses of the extract was found to significantly suppress the pro-inflammatory cytokines, thus reducing anti-arthritic activity. 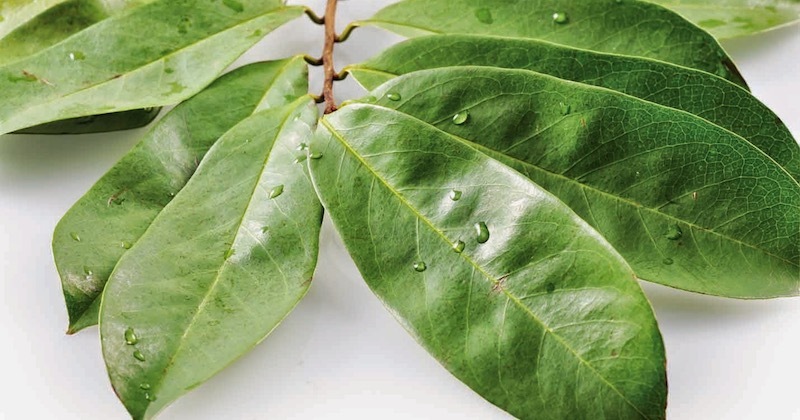 In African countries, graviola leaves is traditionally used to control fever and convulsive seizures. These were investigated in labs and the result showed that the plant extract at the right doses significantly decreased the incidence and mortality rate of tonic seizures. Soursop leaves have been traditionally used to fight diabetes. Extracts from the leaves were injected into diabetic rats for two weeks and were found to significantly reduce their blood glucose concentration from 21.64 to 4.22 mmol/L. In addition, the extract at the same dose significantly decreased the serum total cholesterol, LDL and triglyceride. Studies show that soursop leaves could be used against both acute and chronic inflammation. Soursop fruits were also shown to suppress inflammatory mediators, making this fruit a natural painkiller. For generations, soursop has been topically applied to wounds, injuries, and consumed for pain relief. This plant has an impressive sedative and anti-inflammatory medicinal virtues that make it an important fruit to eat to keep inflammation away. The antioxidant activity of soursop leaves was found to be superiod. The plant is high various super antioxidancts, vitamin C and E that are positively protective against oxidative stress that cause inflammation and premature aging of cells. Regular consumption of soursop provides increased stamina and energy, while slowing down the aging process. Uncontrolled high blood pressure may increase the risks of heart disease, diabetes and stroke. Studies demonstrated that treatments of lab mice with soursop leaf extract significantly decreased blood pressure without affecting heart rates. All of the abovementioned studies indicate that soursop (graviola/guanabana) has high antioxidant activities, has a beneficial impact on preventing various ailments. These are definitely positive signs that the soursop plant has excellent medicinal virtues that strengthens the immune system. Due to the antimicrobial and antiparasitic nature of soursop, it is commonly used in the tropical countries where parasitic infections are common. This super fruit can be eaten whole for fighting fungal infections, bacterial and intestinal parasites. Brewing tea from soursop leaves is a great way for cleansing the gut of infections, and strengthening the immune system. Soursop leaf juice can be applied on eczema or acne on your skin, twice a day. This treatment can help alleviate inflammation and breakouts. Soursop seeds may also be dried and crushed into powder, then make into a paste with some coconut oil to be applied to affected skin area for improving the appearance of age spots and blemishes. Soursop is often used as a sedative in certain cultures. The leaves can be brewed to make a drink that helps promote sleep. The anti-inflammatory and soothing properties of soursop make it very beneficial for calming stress and anxiety. Soursop leaves can be placed inside a pillowcase to enhance sleep quality. When buying soursop fruit, choose fruits with plenty of spines on the surface as they are the best. Avoid fruits with bruises or blemishes on the skin. A soursop fruit with dark green skin is unripe. You can buy them unripe and leave it out on the kitchen counter to ripen. Depending on when you buy them, you could be waiting for a day, or a few days before they ripen. The pulp of the fruit can be made into fruit nectar, smoothies, fruit drinks, candies, sorbets, and icecream flavoring. Ripe soursop fruit tastes rich, fruity, slightly sweet, yet is sour. It leaves an acidic taste in the mouth like pineapple and a sour citrusy flavor like lime. The texture is creamy, and almost “string-like” fibrous. In short, soursop taste is unlike any other fruit. You have to taste it to appreciate it. How to eat soursop fruit? Soursop has to be eaten only when it’s fully ripen. How do you know when soursop is ripe? When you see a tinge of yellow on the skin, and the skin turns soft to the press, it’s ready to be eaten. Eat it right away or store in refrigerator for no more than two days after it has ripened. Cut the fruit into half, lengthwise. Use your hand to extract the fruit from the skin and eat it. You may also use a spoon to scoop the fruit off the skin. When it’s ripened, the flesh will separate from the skin easily. Make a slit on the skin of the fruit and peel it off. When ripe, the skin will tear off easily. When eating a soursop fruit, spit out the seeds. If you plan to make a smoothie with it, then you will need to remove all the seeds. Due to the texture of soursop flesh, it may be challenging to extract the juice using a juicer as it becomes slushie. The closest you could do is to make a soursop smoothie. Using a knife, cut through the fruit lengthwise and peel off the thorny skin. When it’s ripe, the skin will peel off easily. When unripe, it gives a tarty taste and may be inedible. With your clean hands, go through the ripe fruit to remove the seeds. In a blender, put in the soursop flesh, add some coconut water (or just water) and blend. If desired, you may add kefir, almond milk, or other fruits, such as banana or avocado and blend them all up for a rich smoothie. Soursop leaves can be boiled for natural treatment of various inflammatory conditions such as arthritis, gout, back pain, or simply to boost the immune system. Boil 5-6 leaves in 3 cups of water until about one cup remains, strain and let it cool. Drink this brew every morning for about 3-4 weeks to determine progress in the condition. Although soursop is excellent for many health benefits, avoid consuming in excess for long term. Large quantities of its alkaloid compounds especially from the leaves, may cause neurological symptoms similar to Parkinson’s disease.